Ranbir Kapoor thinks his father Rishi Kapoor’s comments on Jagga Jasoos director Anurag Basu came from an emotional headspace. “My father is a very emotional man. Whatever he said was to protect me in some way. I don’t necessarily agree with what he said,” said Ranbir Kapoor. Last month, Rishi Kapoor dismissed Mr Basu as “irresponsible” in an interview with mid-day, blaming him for the film’s several delays. Jagga Jasoos, also starring Ranbir’s rumoured ex Katrina Kaif, was filmed for over a period of three years. “He (Anurag) is such an irresponsible director that he doesn’t complete the film. It was supposed to release three times in the past two years, but it kept getting delayed,” the senior Kapoor said in the mid-day interview. Mr Kapoor also did not appear to have great things about the film and thought that it could have been abridged by 20 minutes. Ahead of the film’s release, Ranbir, who also produced the film, shared his less-than-pleasant experience as a producer, telling comedy collective AIB that it was a “big mistake.” However, in his recent interview, he described working with the director like this: “I don’t look at it as a failure, I look at it as a learning. It gave me a lot. The experience of working with Anurag Basu and everyone was very good. I can’t answer for somebody else but I don’t necessarily agree with everything.” Ranbir Kapoor has also worked with the director in the very successful 2012 film Barfi!. Jagga Jasoos opened to good reviews in July but could only manage to make a shade under Rs. 50 crores. 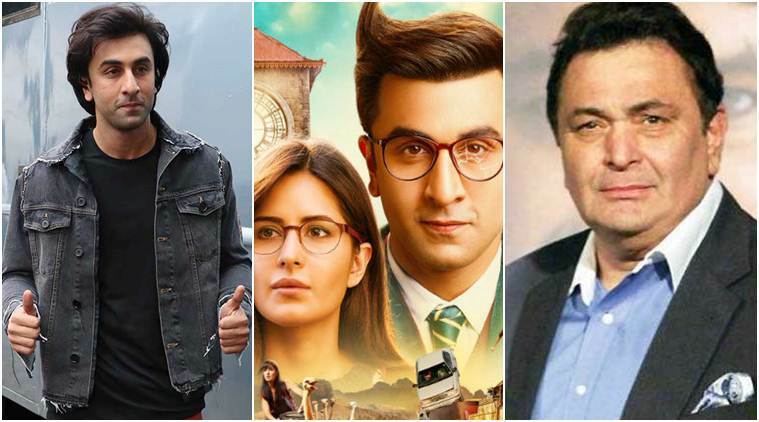 Just when you thought the Jagga Jasooschapter is over for one and all, Ranbir Kapoor had something to say about his father Rishi kapoor’s review of the film. Ranbir was speaking at the trailer launch of Sanjay Dutt’s comeback movie Bhoomi, when he was asked about his father’s blistering attack on Jagga Jasoos director Anurag Basu. Ranbir, who has always diplomatically avoided criticising his director publicly, handled the question with real straight forwardness: “My father is a very emotional man. Whatever he said was to protect me in some way. I don’t necessarily agree with what he said,” PTI quoted Ranbir as saying. “Jagga Jasoos is something that we worked for three and a half years. We all were aware of what we were doing. Sometimes you succeed, sometimes you fail,” he added. Ranbir Kapoor will next be seen in the Rajkumar Hirani-directed biopic on Sanjay Dutt. Be the first to comment on "Ranbir Kapoor Reacts To Dad Rishi’s Attack On Jagga Jasoos Director"